Ohioans have been mulling marijuana legalization since this time last year, but a medical marijuana amendment planned for this November by Marijuana Policy Project likely will now drive the debate. The D.C.-based organization has had a hand in crafting most state marijuana decriminalization and legalization laws in the past two decades. And the group helped activists in several states with successful marijuana legalization ballot initiatives. 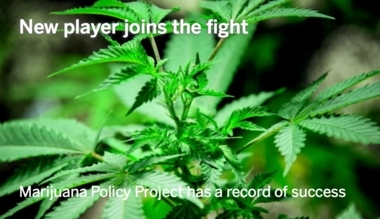 Marijuana Policy Project, founded in 1995 and has been a major advocate for decriminalizing marijuana and advocating its legalization. Here is a look at some successes and failures that MPP cites from their 20-plus years of work. MPP took a neutral position on Issue 3, last year’s failed recreational marijuana legalization measure that would have made Ohio the first state to go from prohibition to full legalization. Polls show a a slim majority of Ohioans support recreational marijuana, but as many as 9 in 10 support medical marijuana. “We are committed to bringing a responsible medical marijuana initiative to the state and working with patients, advocates and professionals in Ohio to make that happen,” MPP spokesman Mason Tvert said Thursday. Here are five ways MPP’s proposal is a game changer in Ohio’s marijuana debate. Anyone who’s run an Ohio ballot issue campaign will tell you it takes money to run a good campaign but also a measure that people actually like and want to vote for. Grassroots groups have been circulating petitions for legalization amendments for years but didn’t have a lot of money. Group leaders say it’s nearly impossible to collect the more than 300,000 signatures required and meet a certain threshold in half of Ohio’s 88 counties without some paid petition circulators. Without major donors, they can’t get their initiative to the voting booth. ResponsibleOhio, the political action committee behind Issue 3, had the money, but its amendment gave opponents a lot to campaign against. ResponsibleOhio spent more than $20 million, raised from 10 groups of investors who would have been the sole commercial marijuana producers in the state had the measure passed. Voters overwhelmingly rejected Issue 3, in part because of the “monopoly” provision. Marijuana Policy Project won’t have a problem getting the money, Tvert said, and it has a track record of establishing strong regulations in other states. “Most Ohioans recognize a medical marijuana law is long overdue, and we hope that will translate into a strong fundraising effort over the next six months,” Tvert said. Despite Issue 3’s failure, the campaign made marijuana a hot topic in Ohio last year. But not much attention was paid to medical use. MPP’s measure focuses the debate on marijuana use to alleviate seizures, multiple sclerosis and other debilitating conditions. 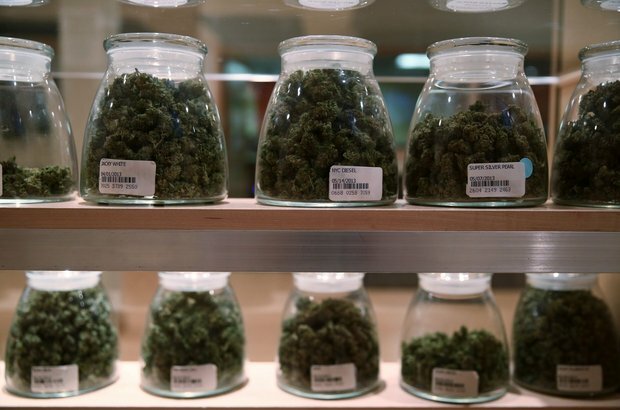 Polling indicates medical marijuana would be an easier sell to Ohioans, and no state has legalized recreational marijuana use without first having a medical marijuana program in place. “If you just take people’s attitudes, medical marijuana is the easiest of the ways of legalizing it and the farther you go toward no regulation, the more opposed Ohioans become,” said John Green, director of the University of Akron’s Ray C. Bliss Institute of Applied Politics. As the face of the campaign, ResponsibleOhio Executive Director Ian James became a polarizing figure among marijuana activists. ResponsibleOhio leaders said earlier this month they will not propose a new amendment this year as they had promised, and James has been lying low. Tvert said MPP will not be working with James, ResponsibleOhio, or James’ petitioning and campaign firm, the Strategy Network. Instead, MPP tapped one of James’ opponents from last year — Strategic Public Partners. The Columbus-based Republican firm helped run the official “no” on Issue 3 campaign and also has extensive lobbying and crisis public relations experience. ResponsibleOhio and Issue 3 divided Ohio’s marijuana activists, with longtime legalization supporters opposing the measure alongside law enforcement, physicians and business interests. Ohioans to End Prohibition, which is proposing a recreational marijuana measure for 2016, campaigned hard against Issue 3 with the promise its amendment would be better. Leaders in Ohio Rights Group, which had been working on a medical-only amendment for years, sided with ResponsibleOhio in the final weeks of the campaign, angering some of its members. The various factions met earlier this month to find common ground and unify around a possible new amendment. Marijuana Policy Project has a history of entering states and becoming “the adult in the room,” said Doug Berman, an Ohio State University professor who teaches a course about marijuana law and policy. “MPP has the opportunity to bring order to a messy grassroots conversation,” he said. Tvert said MPP provides funding and expertise to grassroots activists already working in the state and it will work with anyone who wants to help. After Issue 3 failed, state lawmakers pledged to address the issue ahead of another ballot initiative. Earlier this month, the Ohio House announced a new medical marijuana task force would hold hearings in Columbus. Last week, state senators said they will to travel the state to hear Ohioans’ opinions about the subject. MPP’s Tvert said patients can’t wait for lawmakers to study something that’s already been approved in 23 states and the District of Columbia. Green said a ballot measure should nudge lawmakers to debate the issue thoroughly because they can’t put it off until next year. Berman said MPP’s effort should light a fire under Republican legislators, who control both chambers, to act before they begin their re-election campaigns this summer. Marijuana legalization polls better among young and African-American voters, who tend to vote for Democrats. Berman said a marijuana measure on the 2016 ballot in Ohio would hurt the GOP not only in Statehouse races but also U.S. Senate and presidential races. “My sense is there are some Democratic donors who would like to invest in the MPPs of the world who can get voters out who typically have a hard time showing up,” Berman said.